Like medical emergencies, there might be times when our patients will require immediate attention. At Kingsview Dental Airdrie, we understand the importance of this. 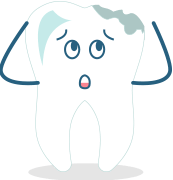 We also understand that if a dental emergency is not attended within a stipulated time, the infection might spread and lead to irreversible loss. Often it so happens that the infection is so acute that medication is very crucial.